Summer is the time of fruits and ice cream! 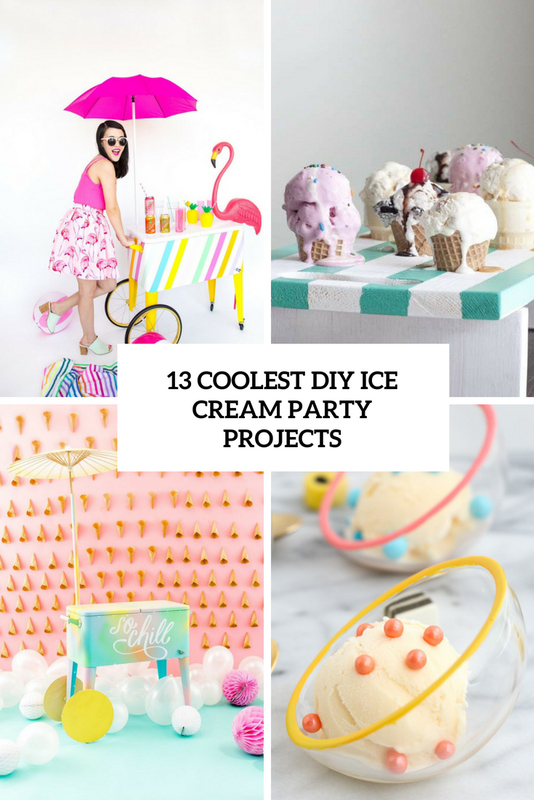 The most popular type of party in the summer is an ice cream one, and if you are going to organize one, this roundup is for you. Today I’m sharing cool ice cream party projects – from serving to storing ice cream: trolleys, carts, trays, stands and bowls, they are all suitable for both indoors and outdoors. Let’s take a look at them and maybe you’ll craft something. 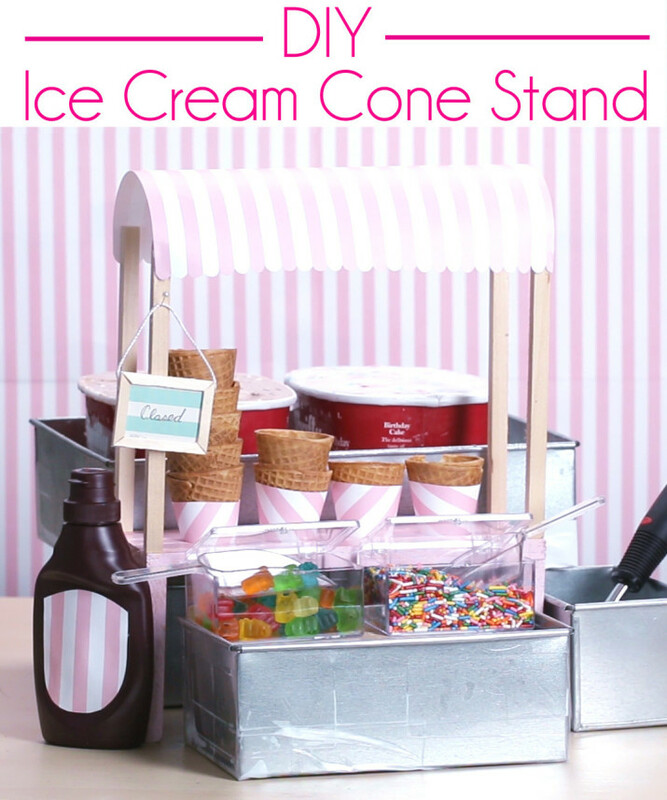 An ice cream trolley is one of the basic pieces for outdoor ice cream parties and just for staying outdoors. How to make one? The first craft for today will tell you how to turn a large cooler into a super colorful rainbow painted ice cream trolley. You’ll be able to store not only ice cream inside but also drinks to keep them cooler. 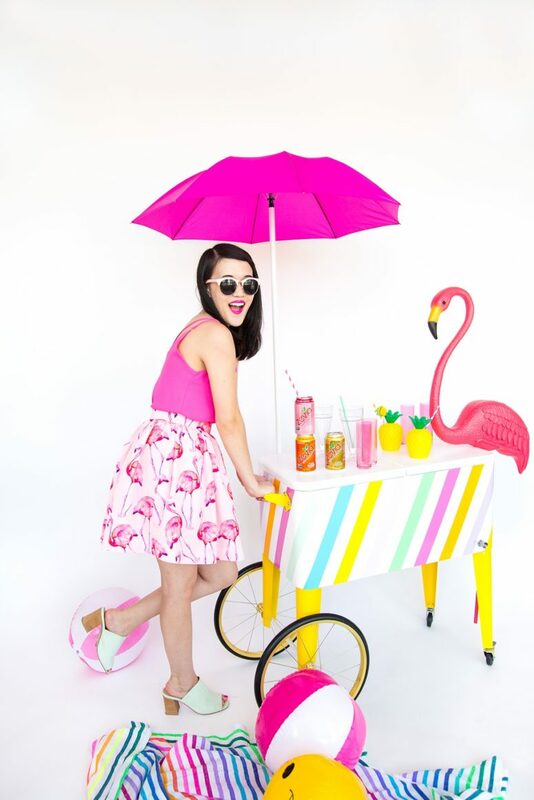 Organize your outdoor party with a colorful ice cream trolley and have fun! This ice cream cooler is love! 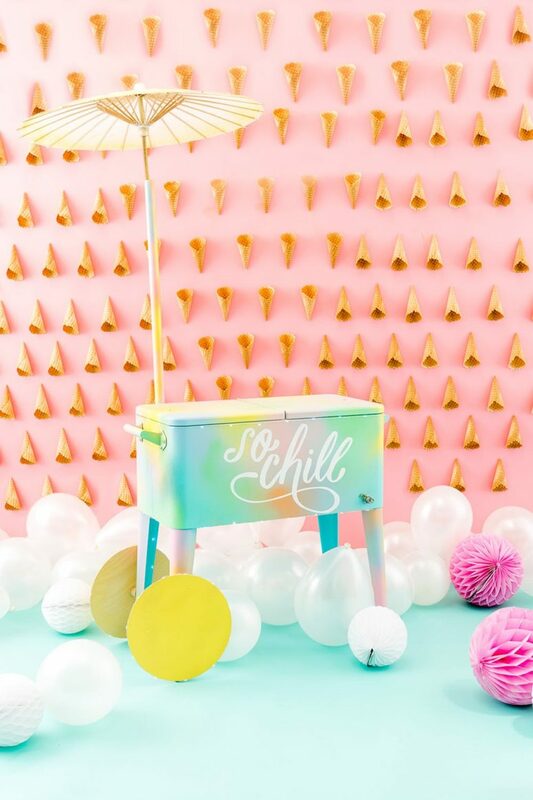 It’s a gorgeous gradient ice cream cooler with calligraphy, and it’s sure to become a centerpiece of your party. The piece is made of a large cooler, which is spruced up using spray paints and stencils. Make your ice cream party colorful and fun with this vivacious ice cream cooler. 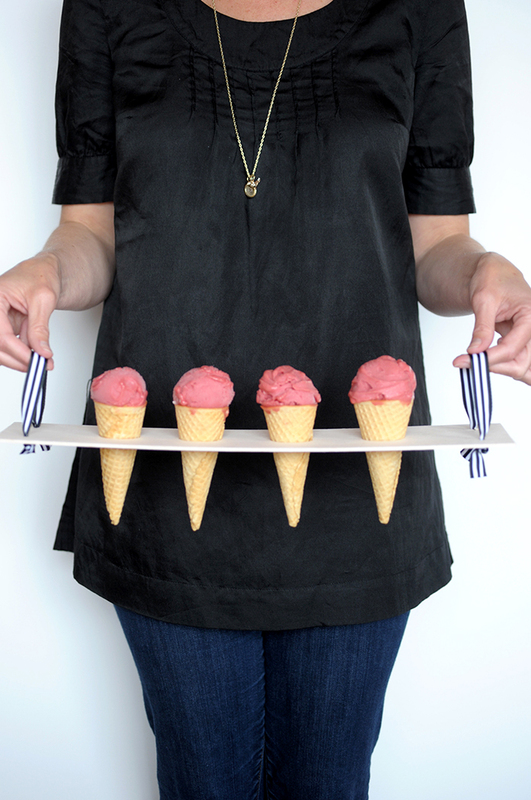 Serving ice cream can be done in bowls but if you are serving cones, you definitely need a stand or a tray. This tutorial will tell you how to make a cool ice cream cone stand of usual plywood, which is painted white, though you may go for bright colors that you like. The tutorial also tells how to make ice cream cone wrapping to make serving even cooler. Get inspired! 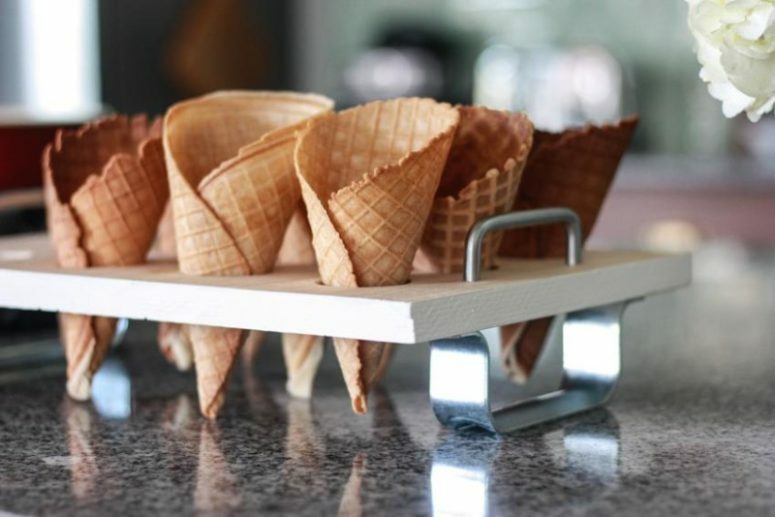 This ice cream cone tray is right what you need to bring some cones to your guests. The tray is made of balsa wood and ribbons, and that’s it, the craft won’t take much time. Position tray on top of two glasses on your counter top to keep steady while you scoop your ice cream cones and place them in tray. And now it’s time to present your ice cream cones! 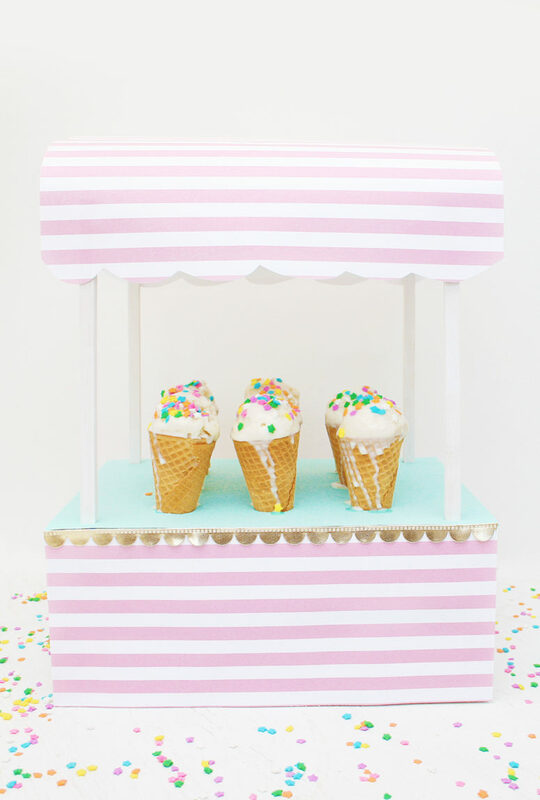 This super cute ice cream cone stand is made of wood and some scrapbook paper. I love the vintage look of the stand, look at this striped pink and white top and this little sign hanging. Read how to make this cute stand and add a retro feel to your party. Here’s another retro-inspired ice cream cone stand, and this one resembles a real vintage ice cream trolley. The stand is made of a shoe box, balsa wood and some striped paper, which covers the box and creates a roof. 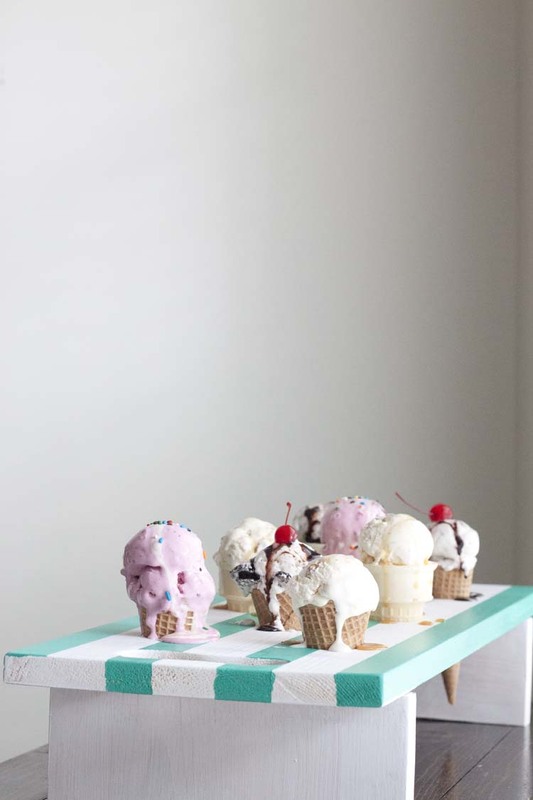 The piece is also covered with turquoise paper to accent the ice cream cones, and the stand is very cute. Make several such pieces to create bright decor your ice cream party and serve treats with style. This ice cream cone stand is very comfortable in using and looks rather laconic, a great idea for not only a party but just for serving desserts. The piece is made of balsa wood and some metal touches, it has handles for comfortable carrying and additional details to keep the cones safe while the stand is on the table. Make one and have a nice ice cream party! 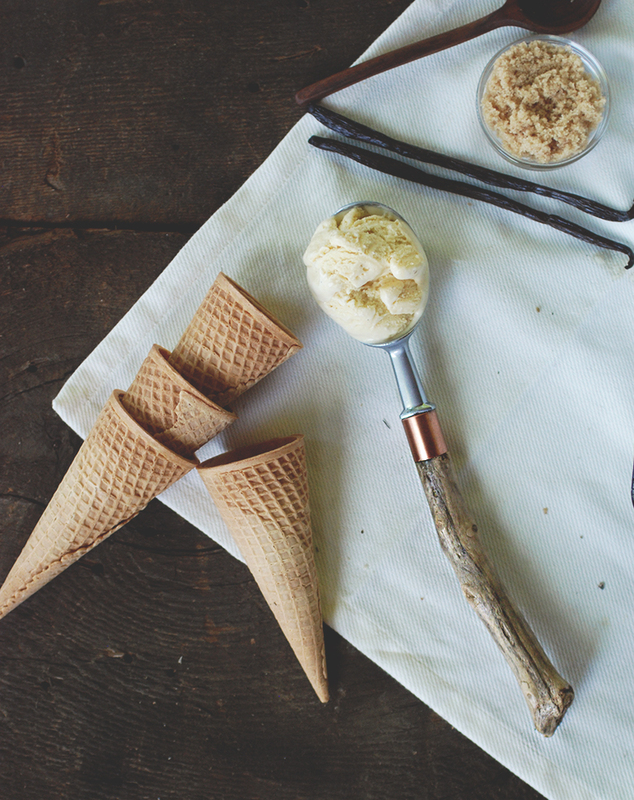 This chic and bold ice cream tray is done of wood, which is cut out to accommodate some cones. The piece is painted in turquoise and white stripes to make it more retro-like and cheerful at the same time. This is a great piece for serving delicious frozen treats, ideal for both parties and just dinners. Whether you fill them will ice cream or macarons is up to you, but the colorful edge is the perfect easy DIY that you can complete in under an hour. The bowls are done of clear angled glass bowls and there are colorful edges, which make them more summer-like and whimsy. So cool and so party-like! 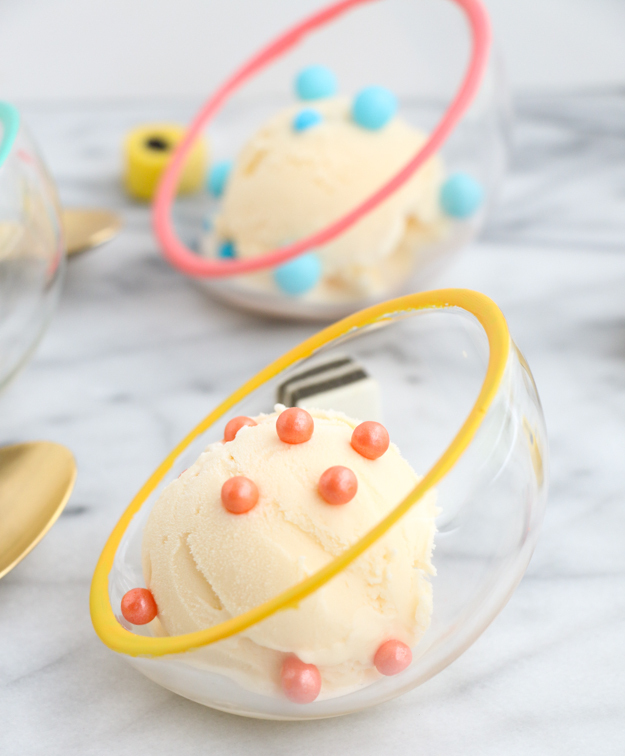 Personalize some bowls for serving ice cream with style! 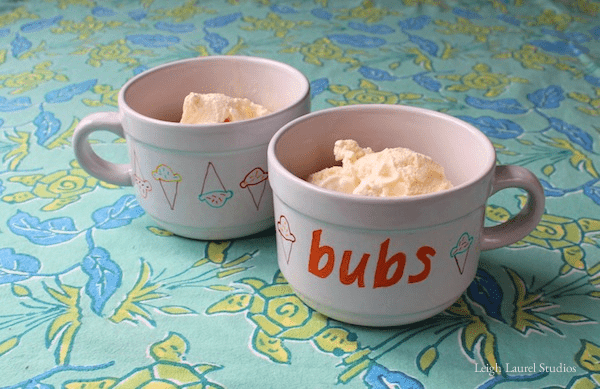 These simple bowls were personalized with usual sharpie pens, with which the author drew ice cream cones and some nicknames if you want to add them. You may also go for other drawings, turn on your imagination and go! What can be more delicious than fresh tropical fruits? Maybe only some adorable ice cream? 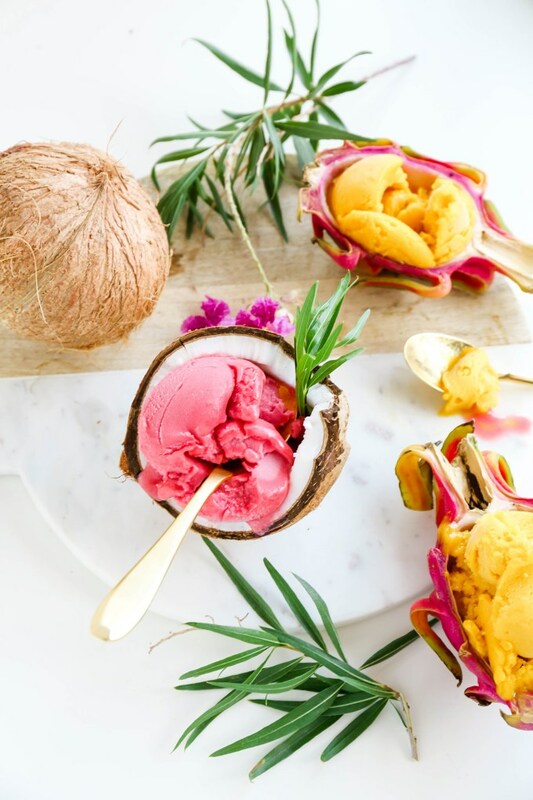 The greatest idea is to combine both – serve delicious ice cream in halves of real fruits. Take your favorite fruits, cut them in halves, empty the halves and put ice cream inside – what an amazing idea for a party or a bridal shower! 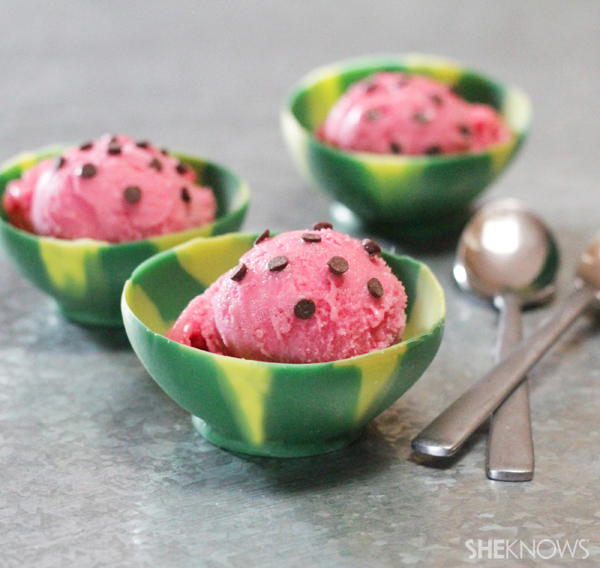 Serve up scoops of smiles in these edible watermelon ice cream bowls. You won’t believe how easy and fun they are to make. Just dip balloons into melted candy wafers, and you’ll create a delicious dessert dish. The last craft for today is a scoop, which is also necessary for ice cream eating. Make ausual scoop interesting adding copper tubing and some driftwood to make it bolder and cooler. 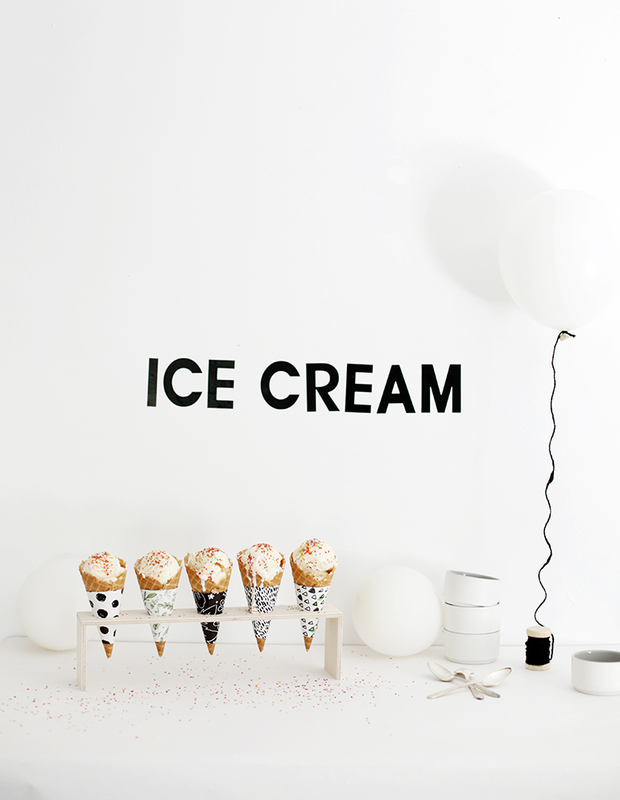 Read how to make it in details and spruce up your ice cream party a bit!